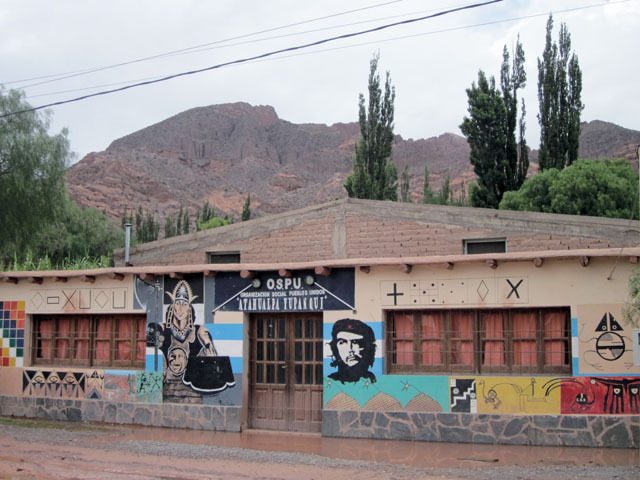 We left Salta, Argentina, to visit three northern villages in Jujuy province just south of the Bolivian border. We were advised by an English teacher we met in Salta to spend one night each in Humahuaca, Tilcara and Purmamarca, and that’s just what we did. We arrived about 3:30 pm in Humahuaca and began to experience altitude sickness, manifested by increased heartbeat, fatigue, headache and shortness of breath. Other than that, we felt great and walked around till we found a café with a long inner courtyard where we had lunch. We left our bags there and began scouting for a one-night hotel on the silent streets (it was Christmas Eve), and found one right across the street. It was a lovely little place with a bamboo roof, flowering courtyard and an attached, colourful restaurant. The manager told us she wouldn’t be there the next day and we should let ourselves out the “back door” and leave the key on the outside door of our room. No passports required. $40. We walked around the town to where the outdoor vendors sell handmade crafts and bought a few pairs of mitts and some hats and scarves, which we would appreciate at home. We found a monumental memorial to the fallen in the War of Independence of the early 19th century. It was up 200 steps and we took lots of pictures from above and below. We went back to our hotel and had dinner in the quaint little courtyard with thatched roof and bamboo booths. Irwin had lamb stew and I a vegetable quinoa soup and a plentiful, simple salad. Quinoa is the favourite carb here, served in everything from soups to salads to desserts, and which we would enjoy Tilcara in the form of a flan. Everyone was gearing up for the Christmas Eve mass and, as we were to find out while sleeping, a barrage of firecrackers. We walked to a nearby church only to see the locals pouring out. One young woman beamingly identified me as a ringer for her mother. In order to find out if this was a compliment, I asked the age of the mother and was relieved to learn she was 56. The next morning we headed to the bus station to find out when we could leave for Tilcara and there was Cynthia, who suggested pictures with her second mother… and father. 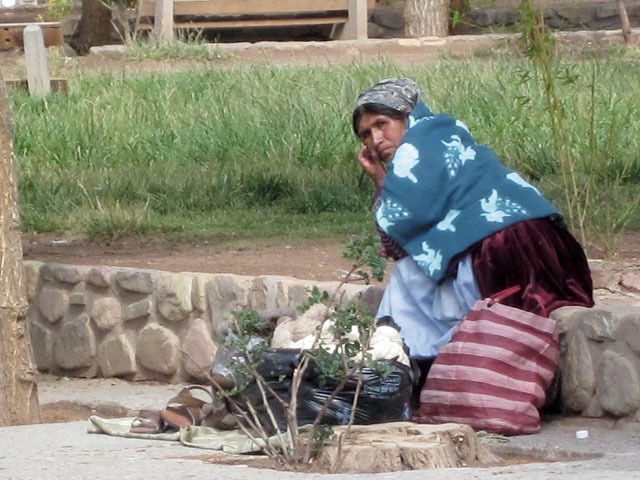 We told her about our altitude sickness and she recommended we chew coca leaves, just like the locals. She offered us a baggy and we began to chew. Irwin reported soon after that his shortness of breath and headache were gone and for the duration of our visit, we chewed them or brewed them in tea. And we felt okay, although giddy at times. These are the leaves that were used in Coca-Cola before coca was declared illegal. The next morning we saw ourselves out of our little courtyard and took a taxi, for $4, to the next village, 20 minutes away. In Tilcara, I parked Irwin, woozy again, at a tiny bar with our two small but heavy bags on wheels, while I set off on foot to find a place to stay on Christmas Day. There were few hotels, but they were boarded up. Finally I found a doorway with the sign “residencia” on the top, and knocked. A polite woman answered and told me in Spanish that she had a room available for the night at $30 with a separate bathroom, two little white doggies, and some little kids too, one named Patricio. All very homey and friendly. My Spanish definitely helped. 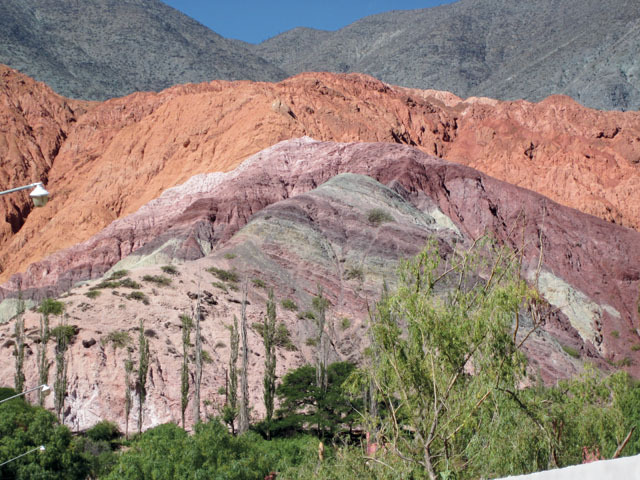 Tilcara is gorgeous, a village nestled between rows of treeless, jagged mountains in various shades of yellow ochre, rust, oranges and reds that change minute by minute. Because it was Christmas Day, this artist’s colony was closed up but the square still had a few vendors selling local weaving such as sweaters and bags. We found our favourite eatery on the plaza, Payla, a lovely place with bamboo roof but really modern and chose from the varied menu. Irwin had a meat and vegetable soup and I had a salad with quinoa, sprouted corn, goat cheese, small potatoes and tomatoes. The empanadas, offered everywhere, were the best we’d had. One was filled with meat and another with goat cheese and—guess what—quinoa. We walked to the outskirts of town across the bridge of the muddy riverbed and took photos of the incredible mountains from all angles. The cacti are people-sized and between them artists have sculpted human-like shapes to keep them company. 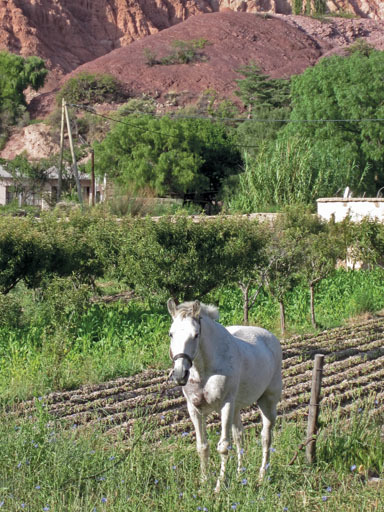 The next morning we took a bus for a bumpy half-hour ride to Purmamarca, in some ways the best of the three villages. We looked all around for a place to stay, but prices in the fancy hotels were more than $200 and far from the main square. Then we saw a dirt yard with a few tents and a sign that promised private rooms with bath, so we gingerly went in and took the room at the back for $30 with a comfortable bed and good bathroom. They even had a clothesline outside in the yard, so we caught up on our laundry. We walked to the centre of town, a gorgeous little plaza surrounded by wooden wagon tables with older ladies selling multi-coloured handicrafts. Soon we were laden with small purses, lots of earrings, little dolls, key chains and a flute. 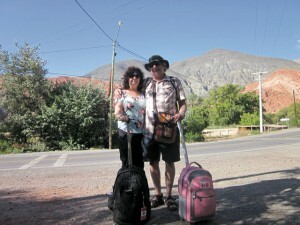 We caught the bus for San Pedro de Atacama in Chile on the outskirts of the village and while we were waiting, we met two Chilean students studying in Buenos Aires who suggested a lovely beach town five hours south of near Antofagasto. We will continue our South American saga with Chile, in the September issue. 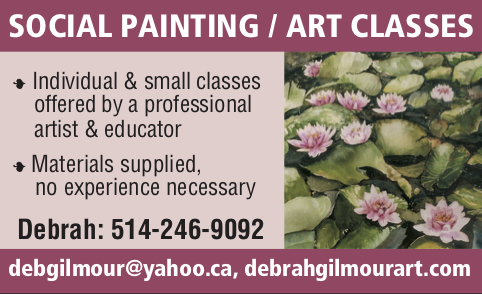 Have a good summer and enjoy your travels, wherever they may be. 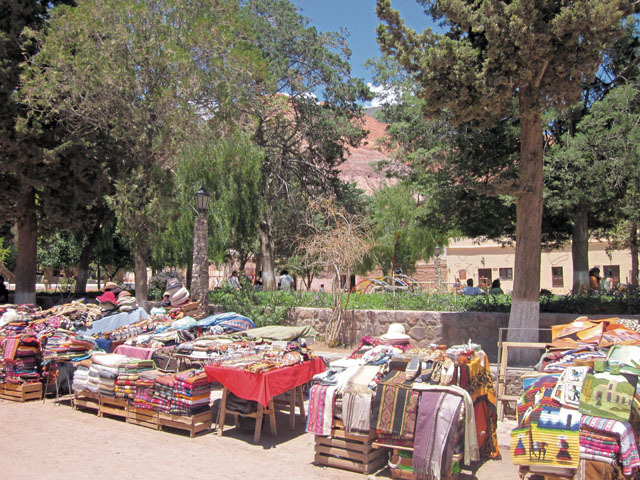 Be the first to comment on "Jujuy region alive with the sounds of silence: Humahuaca, Tilcara, Purmamarca"